The Catalan leader Carles Puidgemont is facing calls to hold a snap election before he’s stripped of power. The appeals come from Spanish political and business leaders who say direct rule from Madrid would be humiliating and pose a serious risk of unrest. 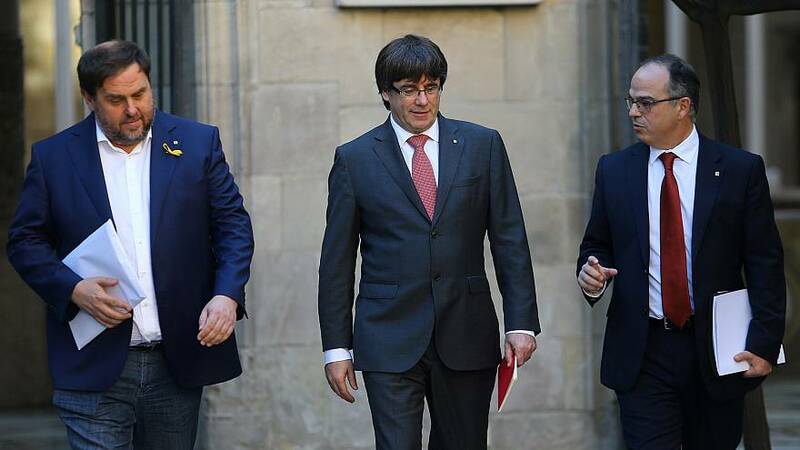 Puigdemont is said to be actively considering the option which coincides with an offer from the Spanish Senate for a debate with Spain’s Prime Minister Mariano Rajoy. The Senate’s vice-president Pedro Sanz said Puidgemont would be very welcome in the chamber but he also suggested that Rajoy is unlikely to meet him unless he first abandons his call for independence and respects the legal and constitutional framework. But there’s little to no sign that will happen before Friday’s unprecedented deadline set by Madrid for the Catalan government to step down. Instead, the regional authority is taking its case to the Constitutional Court. “All we know is that we are going to exhaust all the possibilities because, in our view, what they are doing is an injustice and, as we know how far we want to go with this, we’ll do whatever is more effective to get where we want to be which is the international justice courts,” said Jordi Turull, the Catalan government spokesman. The Catalan parliament meets on Thursday to agree on a response to Madrid. It has already said it’s confident that its officials, including the police, will defy Madrid’s attempts to enforce direct rule.